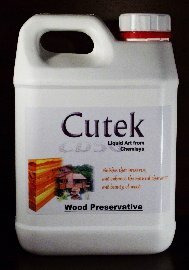 2.5 lt. Cutek Wood Preservative with Colour Toner UV stabilizer. All orders come with a shipping fee of £10.60 + VAT irrespective of volume. This item is out of stock until 2019. Select a colour of your choice from the drop down menu.